The Baltic Sea is subject to intense shipping, about 15% of the global seaborne trade and it is hypothesised that shipping is significantly affecting the Baltic Sea environment. SHEBA brings together lead experts from the fields of ship emissions, atmospheric, acoustic and oceanic modelling, atmospheric and marine chemistry, marine ecology, environmental economics, social sciences, logistics and environmental law in order to provide an integrated and in-depth analysis of the ecological, economic and social impacts of shipping in the Baltic Sea and to support development of the related policies on EU, Baltic Sea region, national and local levels. 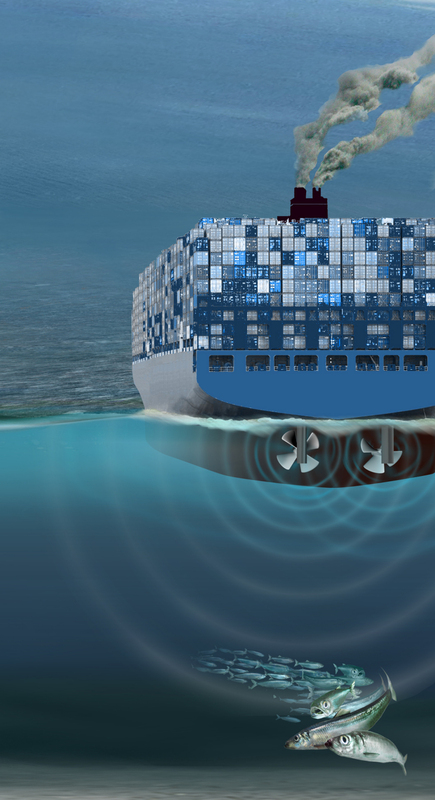 The project will analyse the drivers for shipping, obtain the present and future traffic volumes and calculate a set of scenarios which will then feed into calculations of emissions to water, to air, and of underwater noise using and extending the currently most advanced emission model based on Automatic Identification System (AIS) ship movement data. Further, the project will provide an integrated (ecological, economic, and social) assessment of policy options to mitigate pressures linked to shipping, quantifying as far as possible anticipated changes in ecosystem services (compared to an established baseline). SHEBA and SOLAS (International Surface Ocean – Lower Atmosphere Study) are jointly organizing a conference, Shipping and the Environment – From Regional to Global Perspectives. The conference will take place in Gothenburg on 24-25 October 2017.